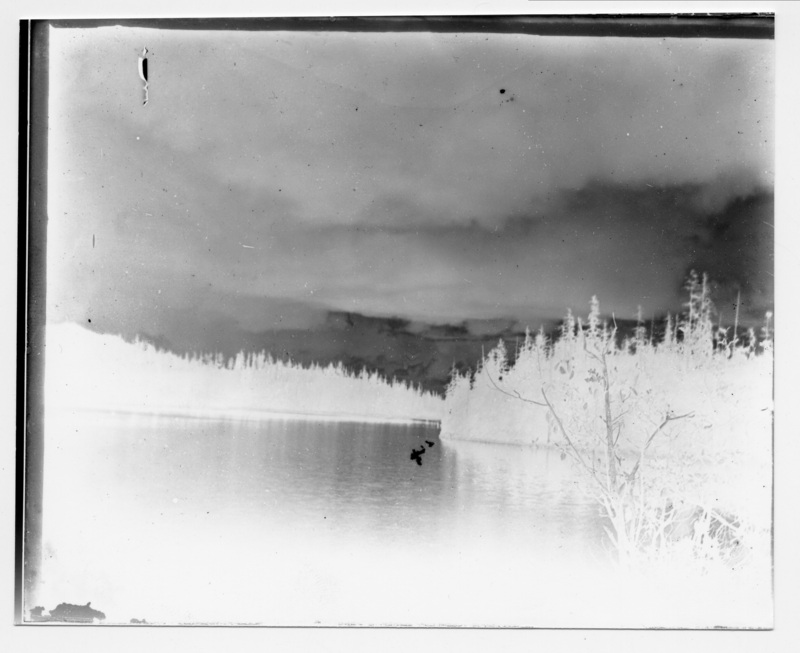 Description Printed as a negative image from the glass plate negative; see 685b. photo by Will Bickner. Photo 686 appears to be the same photo; printed correctly; the negatives are also reversed. Image is similar to 674. Written on the negative sleeve: Lake Oswego, ex.